The top five held its ground in the AVCA Division III Top 25 week 4 poll released Tuesday. No. 1 Calvin (12-0) pulled in 58 of the 70 first place votes (1,738 points), while No. 2 Colorado College (15-0) gathered 12 first place votes (1,689 points). Wittenberg, Johnson & Wales (R.I.) and Claremont-Mudd-Scripps rounded out the top group. Trinity (Texas) plummeted seven spots from No. 6 to No. 13 with a 2-2 mark on the week at the Holiday Inn Express Classic II in Bloomington, Illinois. The Tigers fell to then No. 19 Chicago (3-1) and No. 18 Illinois Wesleyan (3-2) on Friday, but rebounded with a sweep of Rose-Hulman and a 3-1 win over Millikin on Saturday. The victory over Trinity jumped Chicago from 19 to 14. Texas-Tyler was another big mover, climbing from 23 to 20 with a trio of wins at the ACS Crossover-Alpine tournament, besting Sul Ross (3-0), McMurry (3-2) and Hardin-Simmons (3-0). Wisconsin-Whitewater (10-2) joined the rankings at No. 25 after spending four weeks among the vote getters. 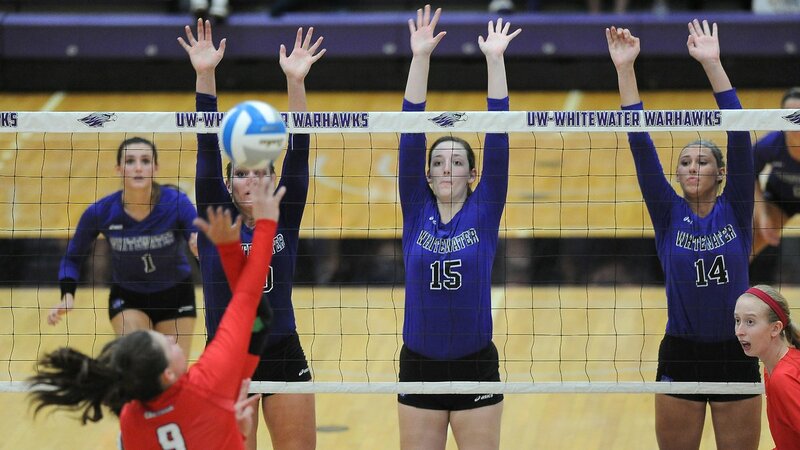 The Warhawks won their lone match last week, topping UW-Stevens Point on the road. Northwestern (Minn.) and Swarthmore fell out of the poll. Ten teams mentioned on only one ballot for a total of 69 combined points.